Wow! 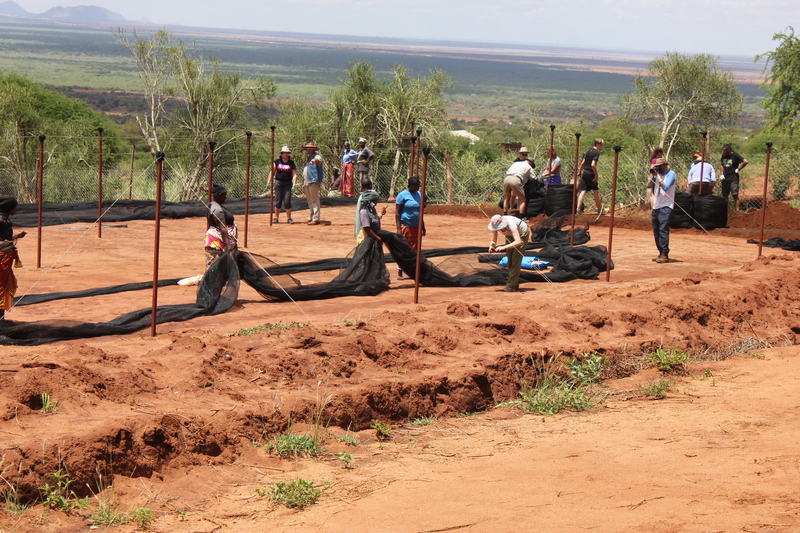 See what the Angels are doing in Tsavo? I have just returned from one of the most thrilling experiences of my life. I keep re-living the moment three weeks ago when I stepped onto the new land in the Tsavo Project which had just been cultivated. The ground was soft and the soil rich. Shoots were coming up from the planted sorghum, millet, water melon, and bean seeds. Thick clouds were overhead as long awaited rains were threatening to break out. The smell of the land when it first started gently raining was eclipsed by the pure joy I felt when it began pouring for days and realising our terracing endeavours had worked, with the rain sinking into the furrows instead of running off and causing erosion on the land below us. 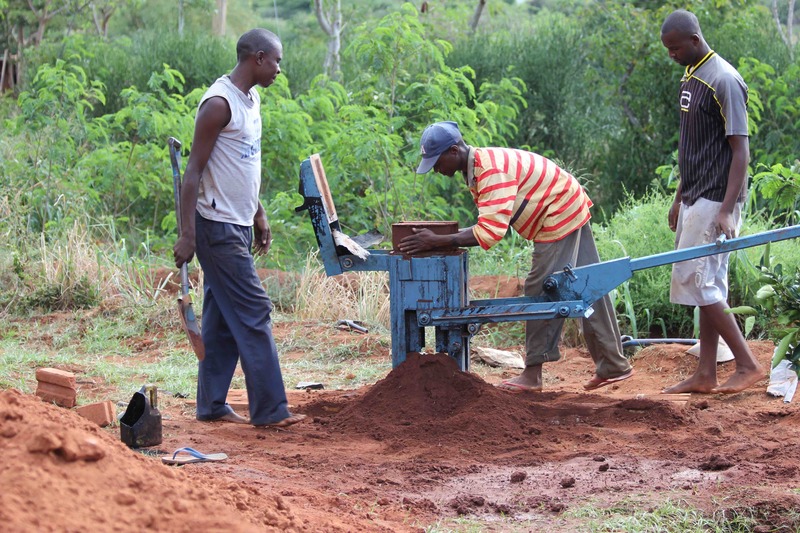 In the last year we have begun developing 15 acres of land for our community project. We have terraced it, planted crops, built our first 150,000 litre water tank, built two huge shade houses with drip irrigation, all in the last few months. 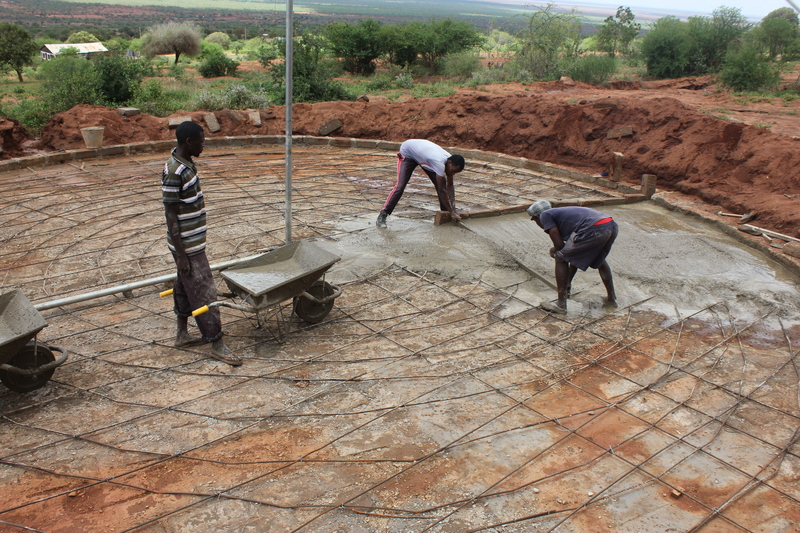 We have set up the beginnings of a model organic farm, capturing and harvesting water for irrigation. We are training young people in leadership and project management skills, and the local women in organic farming and drip irrigation. We are planning to build a small factory to handle our crops and be able to sell product to the local and wider community. Our dream is expand the project to include selling chia, moringa and other exotic antioxidants abroad and to invest funds earned back into the community. As I look over the land from the tree covered hills behind us, I can envisage the valley being wonderfully transformed over the next three to five years. 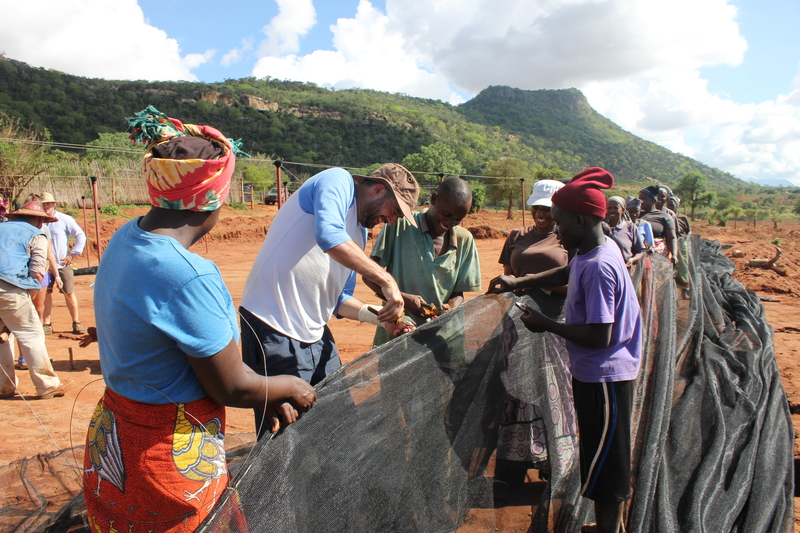 The land we are working on is fertile and has the potential to support the local community. Using knowledge gained from the latest research on farming techniques, rain water harvesting, drip irrigation and growing crops that flourish here, we can change the eco climate of the area. We can attract more rain, increase the level of water in the soil and replenish the underground aquifers. 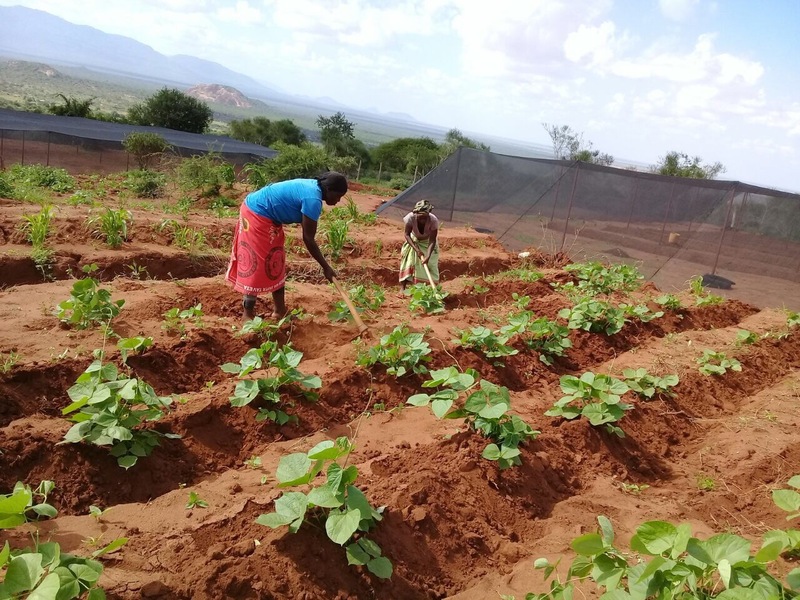 Right across the valley we will be building water pans, digging boreholes, building shade houses, training the local families how to manage them well, grow crops that thrive in this climate, pooling resources and developing multiple channels to market. Itinyi Valley, Tsavo Project Update – 2017 from GlobalAngels.TV on Vimeo. It was five years ago that I first visited the Itinyi Valley, in Tsavo, Kenya. I was filled with compassion for the women and children I found walking 10-15 kms a day for water taken from open air water pan dams – the only water most of them had access to and it was being shared with cows, goats and wild animals. I determined to do all I could to empower them and to transform the valley. 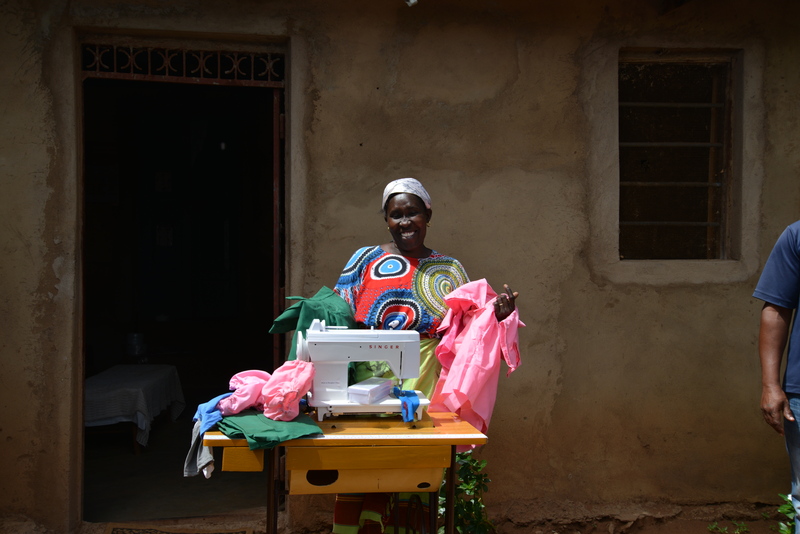 The Itinyi Valley has been one of the poorest communities in Kenya, facing huge obstacles just to survive, intensified with climate change. 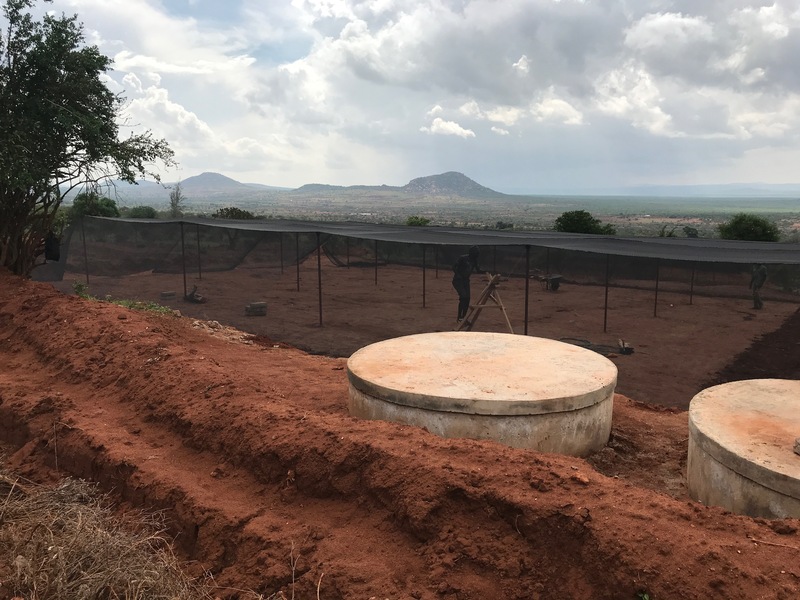 This is a semi-arid area and the increasing periods of drought are a challenge, but we believe that by utilising many sustainable and organic solutions we can effectively turn things around. The Itinyi Valley community needs us and others to come alongside them and work with them for this to be achieved. Teaching and modelling by example is one of the most successful ways to change ingrained behaviour in community practices. As we are successful here, this will also be our showcase of how we transform communities and inspire others. 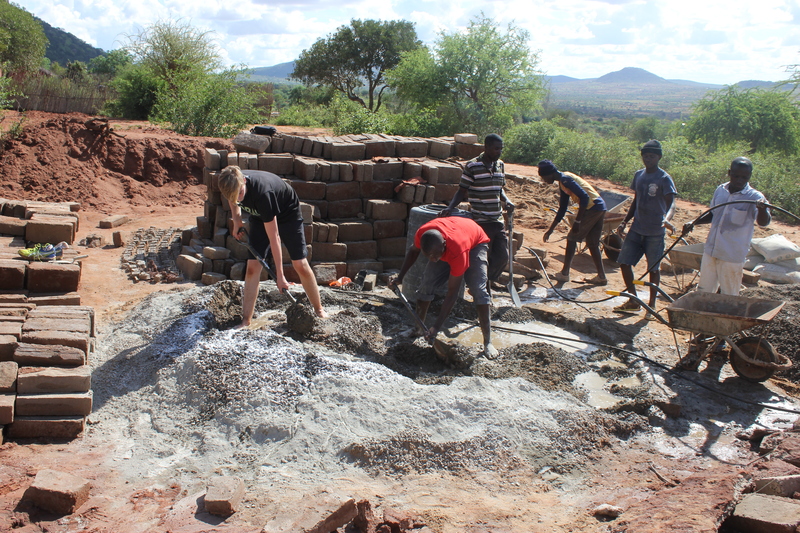 I would like to encourage you to consider making the Tsavo Project a community you are passionate to support. It’s one of a few projects you can actually come with me on a volunteer trip and perfect for choosing a specific resource to fundraise for in your company, as a group or individually – as a marathon runner for example. If you would like to get involved directly on the ground on one of our projects and are able to visit one of our communities with us then please fill in the form below, we’d love to hear from you! Have you taken part in any fundraising expeditions before?